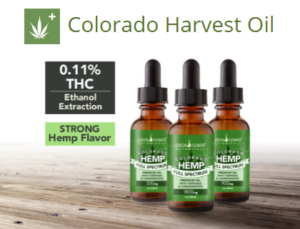 This premium grade CBD oil with is made from Colorado hemp & extracted using an Ethanol Process. This yields a much “hempier tasting” than their Kentucky oils. This is the favored process to keep the plant together as much as possible to maximize highest amount of total cannabinoids, terpenes and fatty acids. The extract is infused with a MCT coconut oil for cellular bio-availability and metabolic energy.